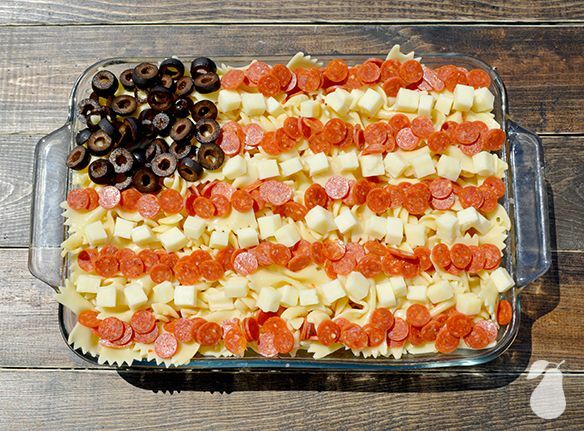 The other pasta salad was Pasta Caprese featuring the colors red, white and blue. 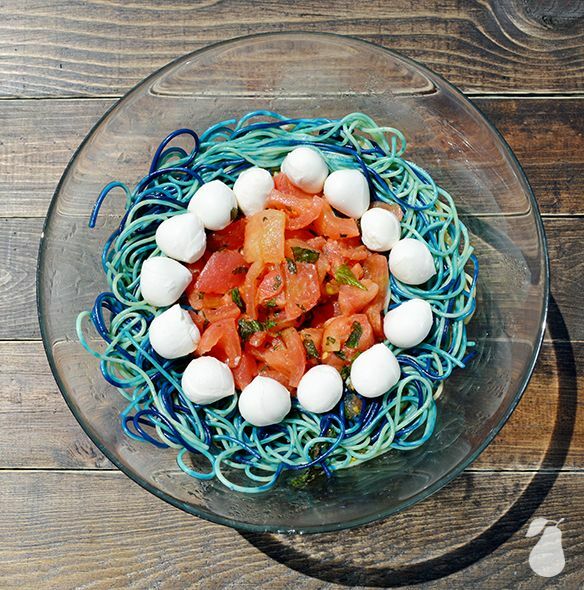 We used blue food coloring in a portion of the noodles and then set mozzarella balls in a circle with tomatoes in the center. A drizzled of olive oil, salt and pepper finished it off. 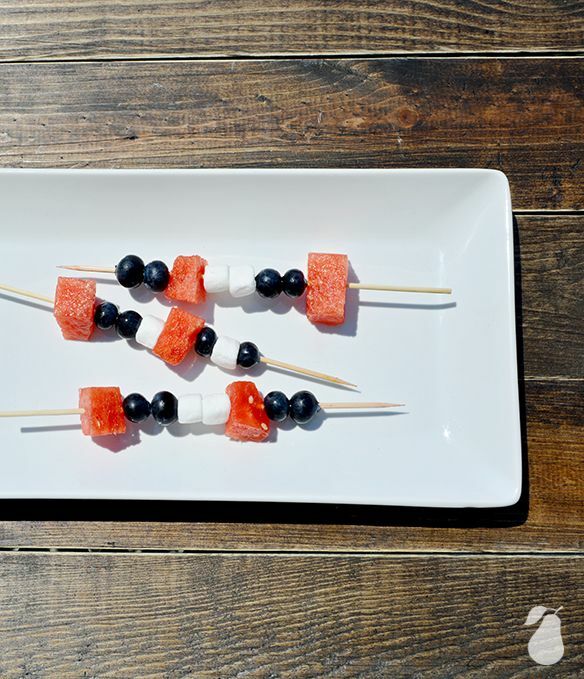 Fresh fruit skewers with watermelon, blueberries and marshmallows became a quick side dish that added to our 4th of July theme. 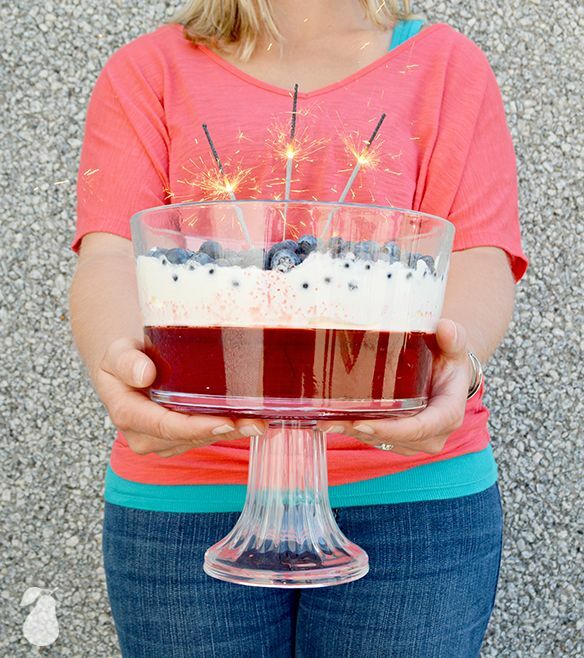 We also had a layered jello salad and added sparklers for a little extra pop. The layers were raspberry jello, cool whip and blueberries on top. 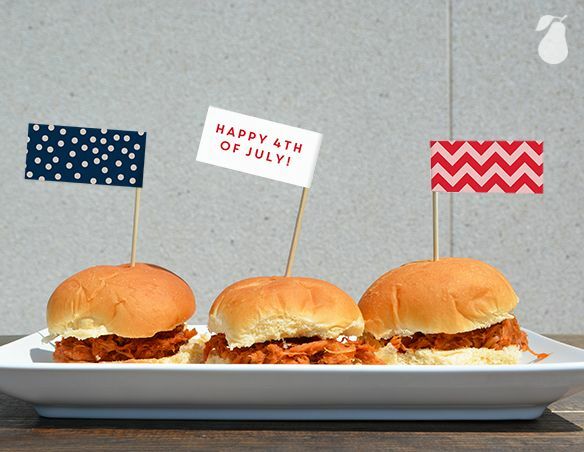 Easy & fun. For desserts & treats, we had cheesecake, pie and Popsicles. 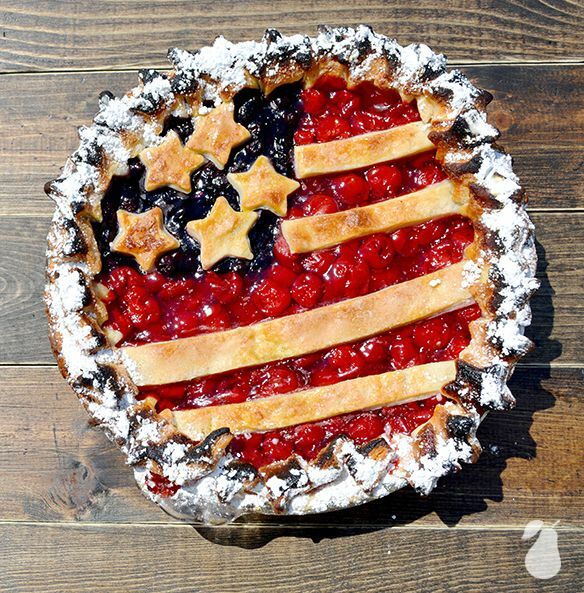 The pie was homemade by Shelly, and she cut strips and stars from the pie crust to shape as the flag. The fruit is blueberry and raspberry pie filling. Tip: if it gets a little burnt on the edges, use powdered sugar to cover it up! Shelly also made the cheesecake. 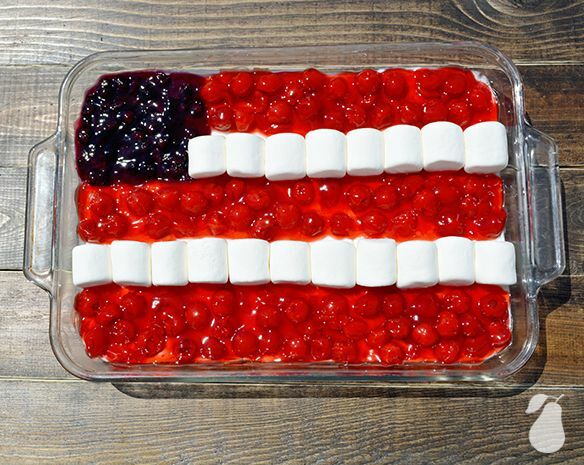 Using the same pie fillings to make the American flag and adding big marshmallows as the white stripes. Delicious and beautiful! 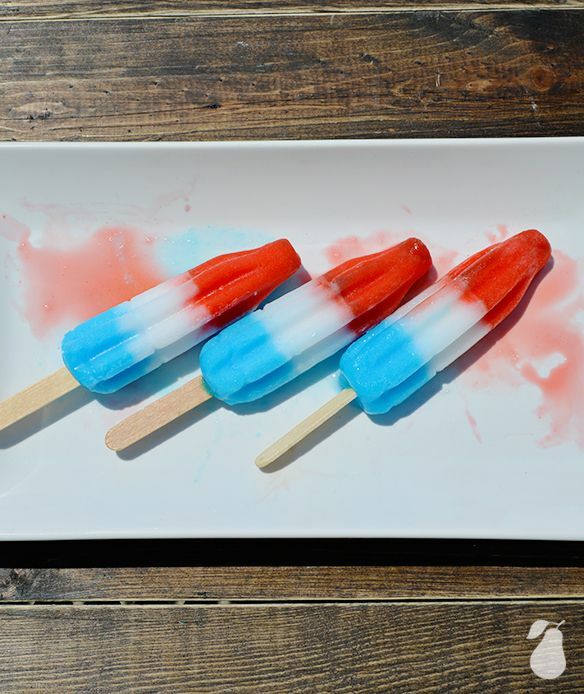 Then, lastly, what’s better than an ice cold Popsicle on a hot summer day? 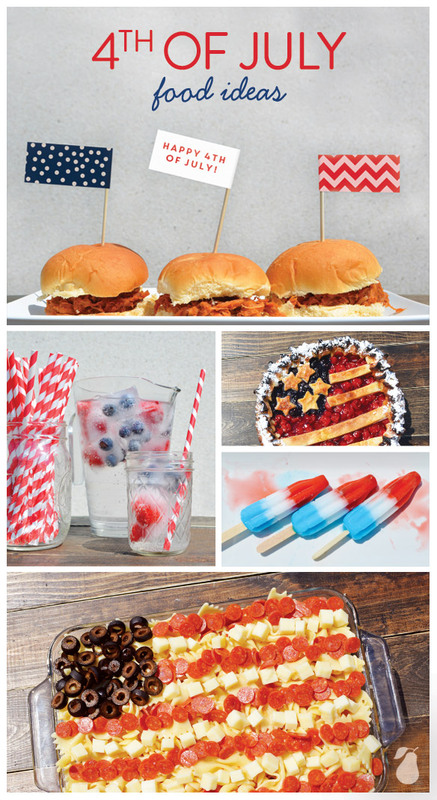 We hope these 4th of July food ideas helped get your patriotic wheels turning to create something delicious! 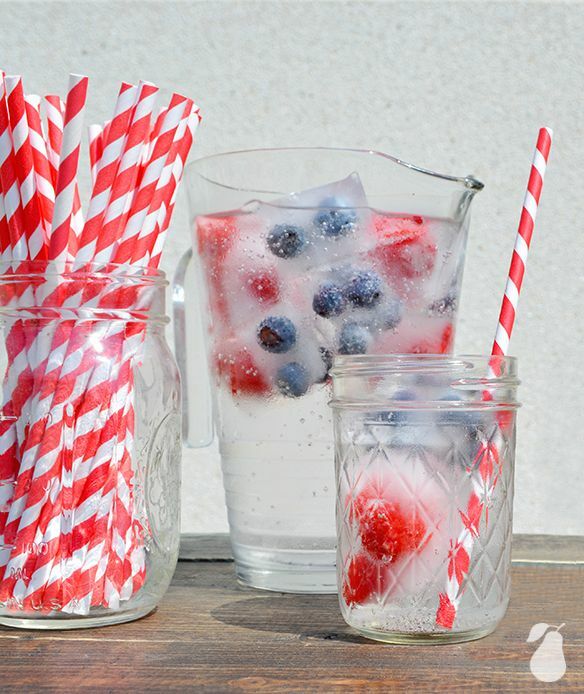 If you’re looking for more 4th of July food ideas, visit our Pinterest board and shop Pear Tree for cute party decorations!